High end fogger for professional users. Enhanced lifetime, stability and reliability. Around 25% energy saving due to a high efficient power control system. Nikel-aluminium alloy heater pipe for last and efficient heat transfer. 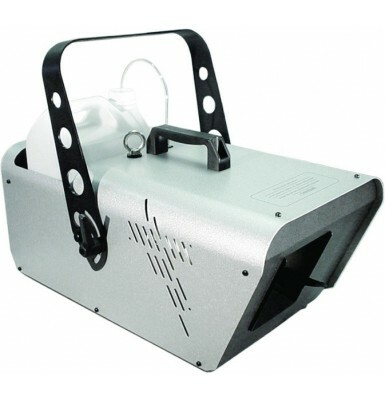 Very powerful and robust heater generates a very big fog output without leaving any residue inside. The pump is automatically shut down by the electronic low-fluid detector when you run out of fluid. Built-in controller with DMX interface and LCD display for easy operation. Perfect for concerts, movie productions, bigger discotheques, etc.